OPEN: Located in downtown New London, a short walking distance from the City's railroad, bus & ferry transportation hub, the Custom House is open year-round. 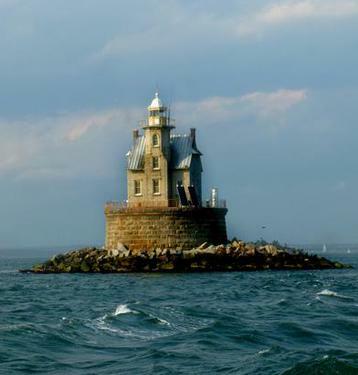 ​Telling the stories of New London's waterfront, the Custom House Maritime Museum offers lighthouse tours and boat trips, an annual chowda'fest, artifacts relating to local lighthouses, US Customs and the Amistad, along with changing exhibitions and a great Museum Shop. ADDRESS: 150 Bank Street, New London, CT 06320. HOURS: We're open Wednesday through Sunday, from 1—5 PM, or by appointment. call: 860-447-2501.or by appointment. call: 860-447-2501. 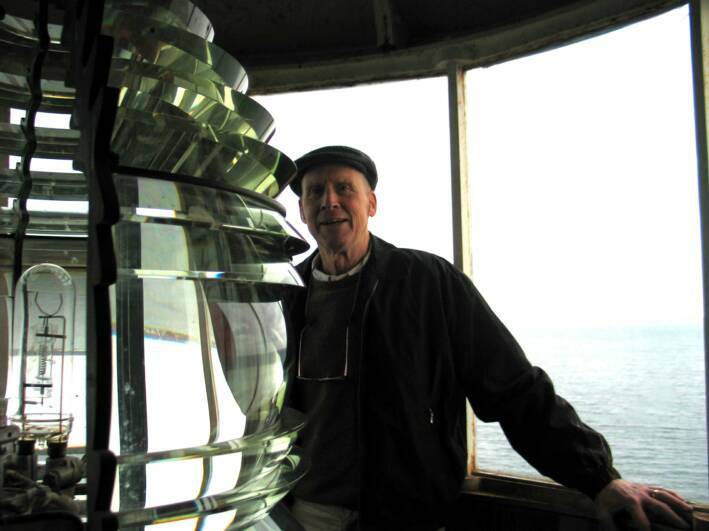 TOURS INSIDE HARBOR LIGHTHOUSE: Tours may be arranged by sending an email. Tours are given year-round upon request from 10 AM until 6 PM daily. 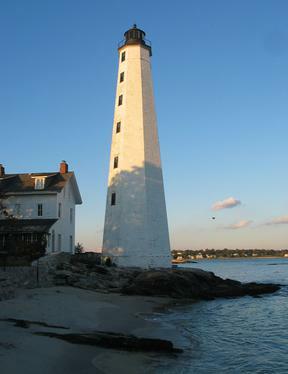 Harbor Light is just a short drive from the Custom House. Groups of up-to-five people can visit up inside the lantern. $30, $25 members, $15 youth to age 18. Admission is a $7 suggested donation for all others. TOURS: Groups may schedule tours by calling 860-447-2501. Group tour admission is $5 per visitor. Tour the Robert Mills US Custom House from attic to sub-basement! Custom House Architectural tours can be arranged by appointment at $10 per visitor. VOLUNTEER - to find out more click >> HERE. SHOP: Our MUSEUM SHOP has books & gifts with New London & maritime themes. The Custom House Maritime Museum/New London Maritime Society (NLMS) is a nonprofit 501(c)(3) charitable organization and receives no regular funding from any other organization. We rely entirely on donations and the money raised from visitors to the Museum. There is one staff member; the museum is run by a dedicated band of volunteers who give generously of their time. With possible sale or demolition looming, Impassioned New Londoners organized to preserve their local U.S. Custom House and, in 1983, established the New London Maritime Society (NLMS), repurposing the building as the Custom House Maritime Museum. New London’s 1833 US Custom House was built at the height of the City’s maritime power, when New London was the second-greatest whaling port in the world. City leaders had petitioned the U.S. Treasury to build them ‘a gem on the waterfront’. Architect Robert Mills, best-known for his design of the U.S. national Washington Monument, provided just that. operating U.S. Custom House and scene to much of the area’s maritime history. 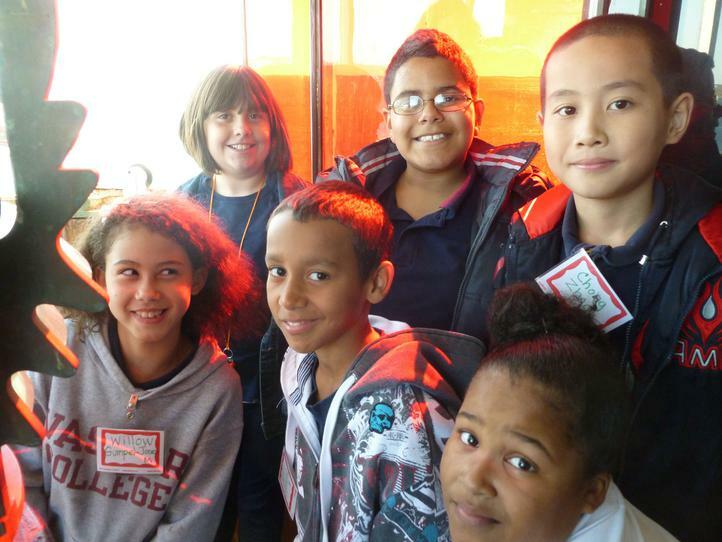 The Custom House is a lively maritime museum, preservation, and educational organization. 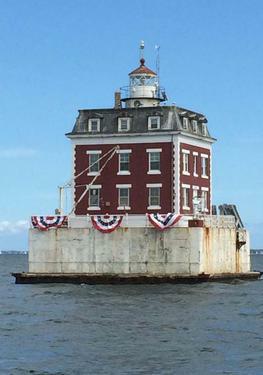 Since 2009, NLMS also has taken on stewardship of the three major beacons leading into this historic port: New London Harbor Light — established 257 years ago and still an active aid to navigation, it is the first and the tallest lighthouse built on Long Island Sound; Race Rock Light Station, off Fishers Island, New York, built by local legend Captain T.A. Scott and lit in 1878; and New London Ledge Light, first lit in New London harbor, in 1909. Through museum exhibitions and educational programs, the museum actively promotes, protects and celebrates the maritime history and current life of the port of New London and the surrounding region. To paraphrase our City Council, who wrote in 1832 about their proposed new custom house: we are a true ‘gem on the waterfront’. The Custom House Maritime Museum has developed into a community museum, which is a very special kind of place. We work to illustrate the maritime connections among us by presenting the stories of our neighbors, and we do this in several ways: the museum has become something of a social center, where people of all walks of life meet to talk, tell stories, hold meetings, and play cribbage; we present “Jibboom Roundtables” –panel discussions featuring individuals who share a common maritime interest or experience (recent roundtable topics have included tugboat workers, design of New London’s Parade, oyster farming in Long Island Sound). We develop 'cabinet' exhibitions drawn from our members’ personal experiences: the ‘Two Lives of the Grandma Sue’—the story of one of one member’s 80-year-old grandfather, who fulfilled a lifelong dream to build & sail a boat to Florida, is one example. We also bring attention to the people and events which have made our region great. A recent exhibition on Rod Johnstone, designer of the J/Boats, is such a show. To get the word out, we produce quarterly newsletters and a program on local cable television: Custom House Maritime Matters. Please stop by and see for yourself. New London Maritime Society’s Vision is for the public to fully appreciate New London and its maritime history, and accept their personal responsibilities as stewards of that history and of Long Island Sound -- a vital natural and cultural resource. Working together as a community really does work as people see all New London has to offer...Keep up the good work. I am local and plan to talk up your wonderful and informative history program.